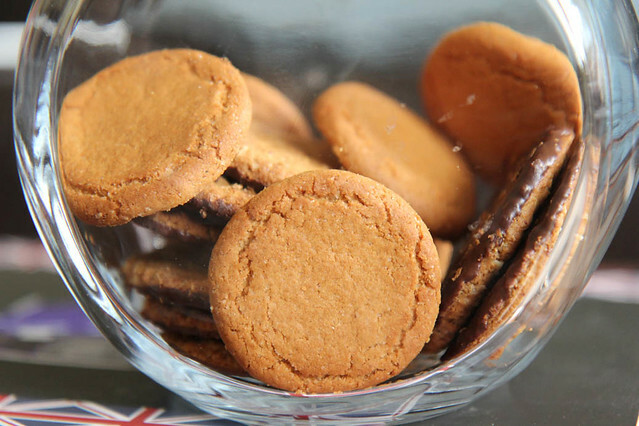 Hobnobs and ginger nut biscuits. I’m sure that jar was full this morning. I’m finally getting around to working out very basic plugins – they’re tools and functions that can be added to a blog. First up is inserting a poll. I’ve been wondering how many people who read this read other blogs as well. So please vote (that’s you too, family members!) because pressing buttons is fun and it only takes a second. As you can probably already tell, we haven’t done much today. We’re sitting around eating biscuits, surfing the net, and Luke and Andrew are playing a Star Wars board game. I went out to get my legs waxed this afternoon, which was very satisfying for me but isn’t really interesting news for you. Mainly we’re just waiting for Matt to call so we can work out what our next move is. Impressive or frightening? 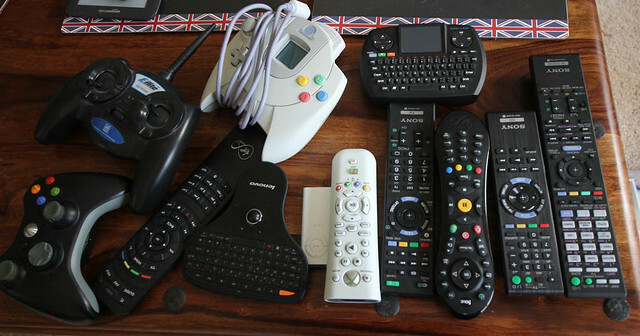 Andrew’s collection of remotes. The ones that live downstairs, anyhow. Andrew let me use his ultra wide lens. Now I’ve realised that I need one too. Oh, something I’ve been meaning to write about is Andrew’s shower. It has lights in it. LED lights that change colour when there’s water going through it. My first reaction was to wonder how something like this could exist and yet no one bothered to mention it to me. Now I’m wondering how many other pointless-but-awesome things are out there that I don’t know about. Probably millions. We’ve had a few curious experiences with novel lighting solutions this trip. The most notable other one is the boxed bottle of Bombay Sapphire Gin that I bought in Bangkok. The cardboard box lit up like a mini neon billboard in 4 stages if you picked it up and set it down (there’s a video of it in action behind the link). Needless to say that has been posted home for safe-keeping. The weather’s supposed to be amazing tomorrow so we’re probably going to a pub for lunch and a walk along the river. Isn’t life grand? 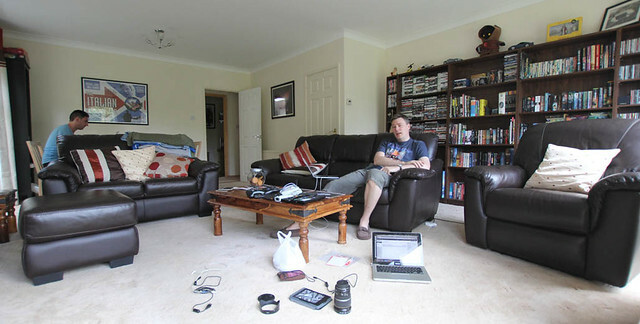 That is a lot of remote… including 2 that as far as I can tell are the same… what the hell are they all for? Say hi to Andrew for me! And yes, Andrew has been everything that is generous and kind. Plus the weather has been pretty good:). Rui sent me a link a while back to a place that you could by the LED shower head from. I forget where. It was probably some deal of the day thing. Rui is made of cheese and win.